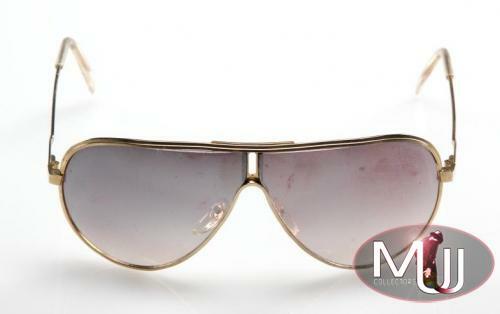 A pair of gold metal framed sunglasses with reflective mirror finished lenses worn by Michael during the 1984 Victory Tour. These glasses were gifted to friend and actor Corey Feldman in early 1985. 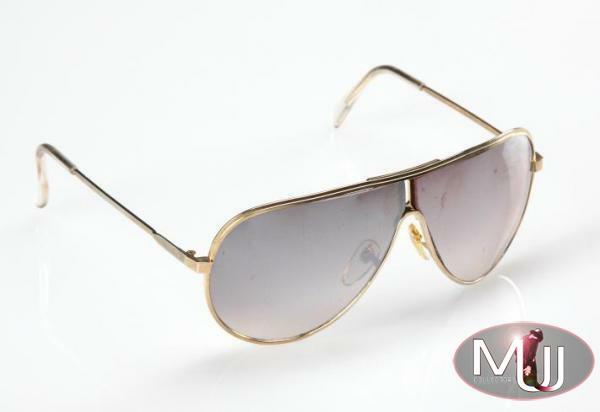 The glasses were gifted to Jackson's friend Corey Feldman and are accompanied by a letter signed by Feldman reading in part, "I Corey Feldman certify that these sun glasses were used by Michael Jackson for the Victory Tour in 1984 and personally given to me by Michael Jackson in 1985..." together with a second notarized letter from Timothy Stinson, who was in charge of marketing for both the Victory and Bad tours. 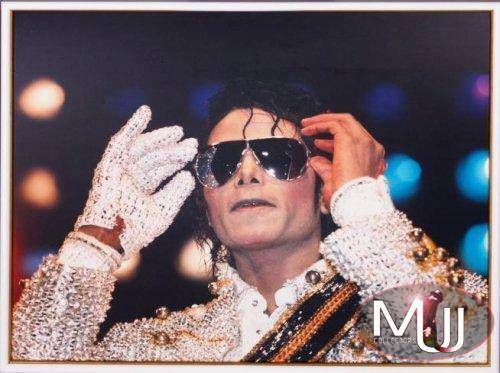 Stinson explains that he collected glasses worn by Jackson each night as part of a promotional contest run in the newspapers of the major metropolitan towns along the tour's route. The notarized letter explains in part, "Michael agreed to the promotion and I would stand backstage to collect the sunglasses as he exited...Once a week I would take the glasses to Michael to be signed...Michael occasionally wanted to keep some of the sunglasses to give to friends...and Michael told me he would be giving some unsigned glasses to Corey [Feldman] to wear and some signed glasses to collect as memorabilia. I have inspected these unsigned sunglasses that Corey is selling, and they are the stage glasses Michael wore while performing." 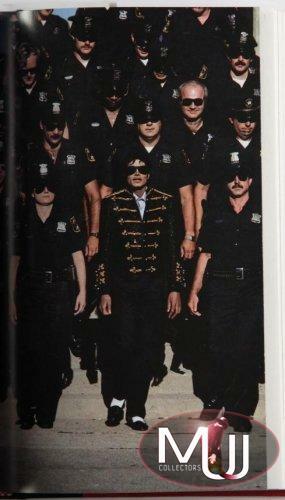 Sold by Julien's Auctions (Lot #498) for $27,500 at their 2010 Music Icons auction. All screen captures are the property of their respective owners.